Eodemons are another "new" race of demons I am working on. Eodemons are the "Dawn Demons" or Proto Demons. These are the demons that were already old and evil and sulking in the Hells. Unlike the "devils" that were once good and then fell or "demons" that are relatively new to the scene, the Protodemons were old and evil. Their motivations are often alien to mortals and other demons. Their numbers are few, but each one is extremely powerful. Many are worshiped as gods, or at least, dark gods. These are not to be confused with the Eudaemons, or beneficial demons. Also many believe that Lilith herself is an Eodemon, but this is something she denies. Also some scholars use the more archaic form Eolim to describe these demons. Not to be confused with Elohim, which are also servants of Good. For my take on these demons I am taking really, really old myths. 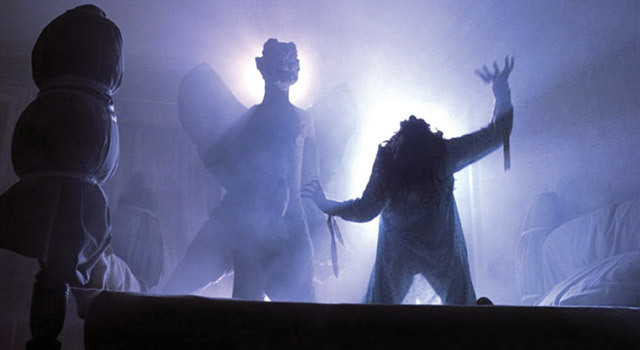 The one that everyone knows is Pazuzu. How do you know him? He was the demon in The Exorcist. Only five Eodemons are being detailed. There maybe more, but they have thankfully remained unknown. As a group they are more powerful than the Baalseraph, but are too independent and chaotic to work to the same ends. While I am connecting the Baalserasph Lords with the Deadly Sins, I see the Eodemons as representing a classical element. Dagon: Lord of the depths. This Eodemon combines the worst aspects of fish, octopi, sharks and strangely mankind. Like most Eodemons his form constantly shifts and rearranges itself to suit his need, environment or whim. One constant is his large, dead looking eyes. Always described as the “eyes of a fish” or a “drowned man”. Leviathan: It is supposed that this is the oldest of all the Eodemons. Leviathan is so ancient that even other demons seem in awe of “his” age and power. It assumed that it is a he though there is no evidence to suggest either way. Leviathan exists only for one purpose; to feed. Leviathan can be found in the Astral realms devouring entire worlds. "He" represents the Fifth Element of Quintessence. Pazuzu: The Lord of the East Wind is a demon of the skies. He appears to be a well proportioned athletic male human with bronzed skin. His head is a bizarre combination of human, dragon and hawk. His double set of wings could indicate a semi-divine nature but Lord Pazuzu denies such things. Lord Pazuzu says a lot actually, he is the most active Eodemon in the affairs of mortals. He represents the element Air. Tiamat: The Queen of Monsters and Primal Chaos. Tiamat was once a primal goddess of creation. But she desired only to destroy. She was cast out and was already old in the hells when the Baalseraph arrived. Evil Dragons and evil monsters still revere her as their queen and goddess. She represents the element Water. Tsathogga: This great demon appears as some sort of titanic frog-like monster. It appears to be at least 50’ long or as much as 75’. There is a vague humanness about this this demon, but it’s countenance is one of an evil frog. It’s mouth is filled with rows of sharp, shark-like teeth the length of a grown man’s arm. It’s body is covered in open sores where oozes pour out. Tsathogga does not bother to attack mere humans and will summon 4-9 (1d6+3) Demodands loyal only to him. Tsathogga, when he does attack, will use his tongue to attack the nearest opponent. Human cultists worship Tsathogga, but the Demon Lord cares little for humanity. The Lord of Toads represents the element Earth (I know, not a great fit). So a nice collection of different myths here. Cool. I particularly like the inclusion of Tsathoggua among all these ancient world entities. Man, that kinda rocks, best A-Z article yet!